Get ready for a totally tubular toy! Let Tubation, by Quercetti, take you on an exciting journey through winding mazes, curving pipelines and interlocking tubes all set up by you! 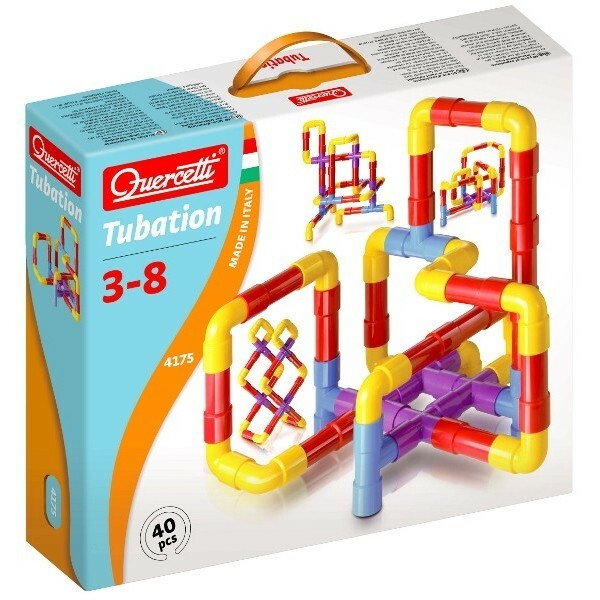 Quercetti’s Tubation is a unique construction set perfect for imaginative toddlers and young children. The set includes 40 unbreakable ABS plastic pieces that can even be interchanged with Quercetti’s Saxoflute and Super Saxoflute play sets. Gather your wildest dreams and start building up!